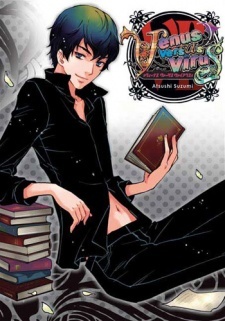 Yoshiki is a young man Sumire met one day in a park while he was reading a book. After a few more meetings together while exchanging books to read, Yoshiki starts to develop romantic feelings for Sumire. However, it is later discovered that he is actually one of Lucif's followers named Aion, he tries to take Sumire's fragment but stops because he truly cared for her, thus, he betrays Lucif, but Lucia, not knowing of his betrayal, kills him.